We have developed a skincare line specially for you who discover the very first, fine lines and wish to preserve your skin for as long as possible. 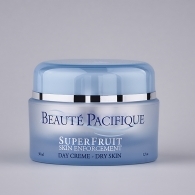 We call it SuperFruit Skin Enforcement, because the products are based of effective and nutritious SuperFruits. The products reduce impurities and redness and have a high content of natural antioxidants which enhance the skin’s own defense. The line is ideal for even the most sensitive skin. Young women in the beginning of the 20s should still use anti aging skin care products even though they do not see any signs of aging yet. Skin care products developed for young skin is important to maintain younger-looking skin for as long as possible. You are constantly told to look for skin care products that suit your skin type, however, it is also important to choose skin products based on your age. Your skin goes through many changes throughout your life, which is why you cannot use the same products when you are 20 and 45. When you are around 20 years old, your skin is typically smooth, flexible and glowing. Women in the beginning of their 20s have firm and elastic skin, because they have yet to experience the first signs of aging. Women in the beginning of their 20s should only use light skin care products, because the skin cannot tolerate the more harsh ingredients that are in other products. 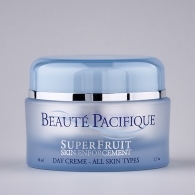 Young skin needs a light day cream that can strengthen and protect the skin, as well as give it lots of moisture. The best skin care products for 20s should preserve the skin’s young features in order to keep looking young for as long as possible. It should also prevent blemishes and redness. Even though you have yet to see the first signs of aging, it is still important to use skin care products with nourishing ingredients. Skin is the body’s largest organ, and it has a really good memory, when it comes to the care that you give it. It will remember anything that it comes in contact with, and even though you cannot see the damage, when you are in the beginning of the 20s, you are guaranteed to feel it later. Sun, smoking, stress and a minimum of sleep are some of the things that can have an effect on your skin. These will often be seen as fine lines and pigmentations later. Fortunately, you can do a lot to protect your skin already when you are young. It is important to always use a light cream with sunscreen in the summer, and a moisturiser to make sure that your skin gets the moisture that it needs. Young women should always use skin care products that have a light consistency, because these will match the smooth and delicate skin. Young skin will more oftenly renew skin cells than older skin, which means that the skin can more easily keep itself smooth and tight without any wrinkles. A light skin care product will, therefore, be enough to maintain the characteristic glow and elasticity of young skin. Another thing that is important with young skin is to not use too much product that can weigh the skin down. Use a light cleansing product every morning and night to clean the skin from makeup and other forms of dirt. 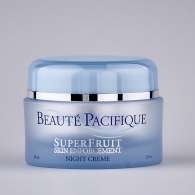 Thereupon, you should apply a day cream or night cream with a light consistency. Use a day cream for dry skin when it is cold in order to make sure that the skin gets enough moisture. If you need a boost of freshness during the day, you can use a face mist. It will give you an energy-boost when the skin feels tight or dry. Use it before or after your skin care routine and even on top of your makeup. Our skin care line for young skin is filled with natural antioxidants, such as lingonberries, green tea and leaves from apple trees. Antioxidants act protective toward the skin cells, as well as they optimise the skin’s renewal processes. They also fight against the free radicals. Antioxidants, therefore, strengthens the skin’s own defence against early signs of aging. 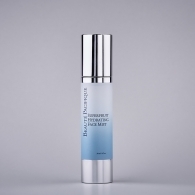 At the same time, the antioxidants also optimises the skin’s moisture level, as well as prevent blemishes and redness. In that way, the skin can keep young for as long as possible. Follow Beauté Pacifique Australia on our social media and automatically receive our latest news, directly in your news feed.